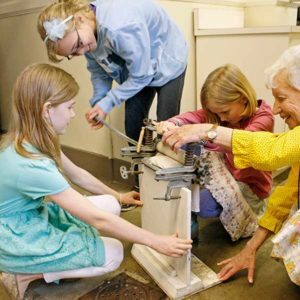 On Behind the Scenes tours, guides lead small groups through areas of the mansion not ordinarily open to the public, including the basement boiler room, the Otis elevator machine room, third floor servants’ quarters and Henry Pittock’s private den. Tours run every hour from 10 a.m. to 3 p.m. Behind the Scenes tours are not recommended for children under 14. The cost is $20 (member discount applies). Purchase tickets at admissions or by calling 503-823-3624. 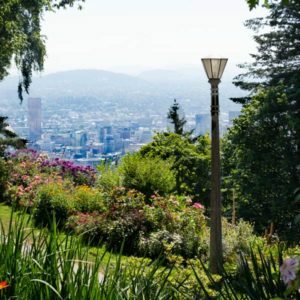 Discover the architectural significance of Pittock Mansion inside and out during this one-hour tour. Explore the materials used to build the home, and how the expertise of architect Edward Foulkes helped make Pittock Mansion a traditional yet modern home in 1914. Purchase tickets at admissions or by calling 503-823-3624. Half this tour is outdoors.